The ancient Maya developed a positional number system based on groups of 20 (“base 20”). Positional number system? Base 20? Our system is sometimes considered Arabic (even though Arabia obtained this system from India). I will indicate if a number is Arabic (or base 10) for clarity. Our system is positional. Each number has a different value depending on its relative position. Our system is base 10. Each positional number is a multiple of some power of ten. Six times one (Note: ten to the zero power is “one”). One times ten squared (or ten to the second power). So 126 in our Arabic system is equivalent to six groups of twenty and six ones. And we know that six is represented by the Maya with a bar and a dot. So we need to use a bar and a dot twice. 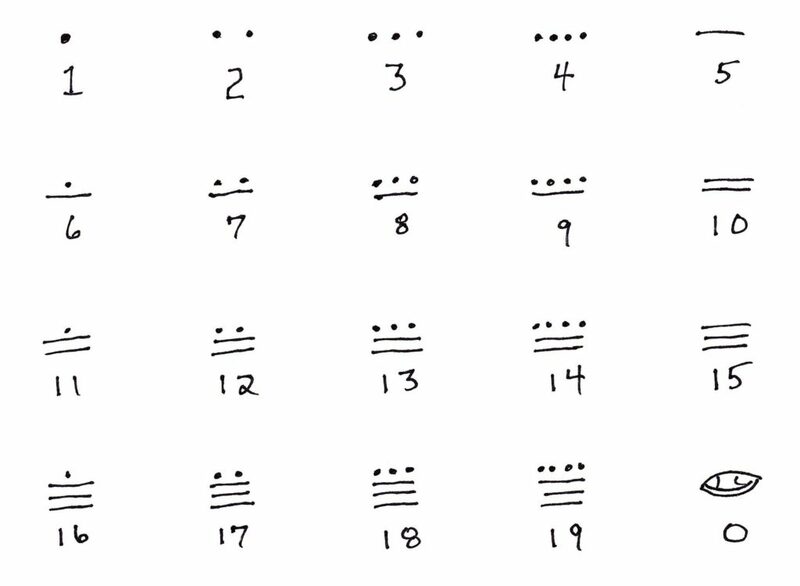 In our modern (Arabic) system, the positions are written horizontally, with the ones on the right and the groups of 10 to the left. But we know that, in the Maya system, the positions are written vertically, with the ones at the bottom and the groups of 20 above the ones. …where the squares are again added for separate the two symbols. The upper symbol gives the number of groups of twenty (6 x 20 = 120). The lower gives the number of ones (6 x 1 = 6). 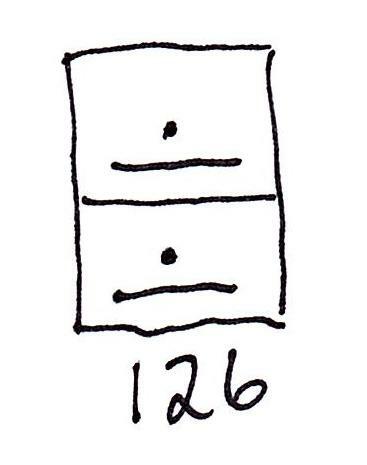 Hence, the two symbols (in the given orientation) describe our Arabic value of 126. This entry was posted in Uncategorized on January 20, 2019 by Walt Socha. ← What do cement and tortillas have in common?